As the weather becomes colder our daily worm digs have been resulting in less and less worm discoveries. On Friday we talked about how some animals hibernate for the winter, and I explained how worms dig down deep with their worm family/friends to stay warm in the winter. They are testing the theory of hibernation that I had explained to them. I love that they thought to check for themselves, to see if the works are actually not around when it’s cold. 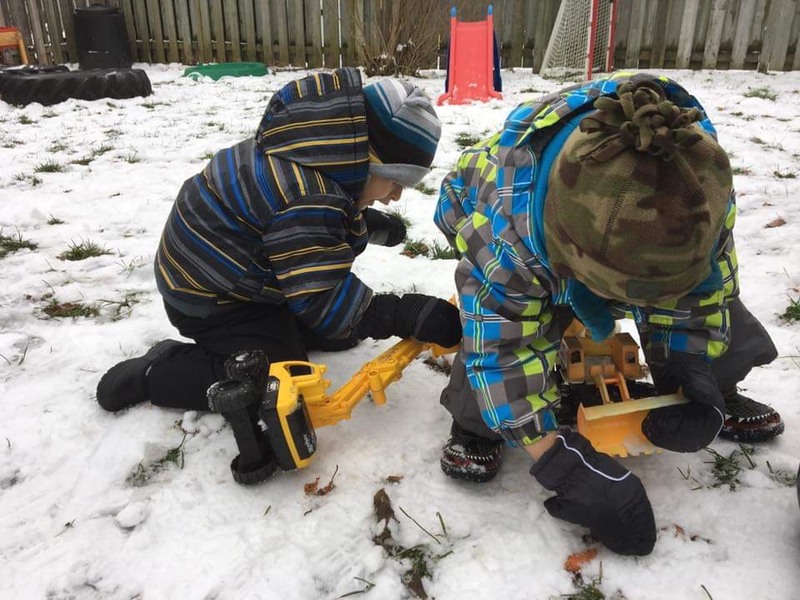 They noticed how difficult it was to dig in the frozen ground, and we wondered about how difficult it would be for the worms to tunnel around if they didn’t hibernate!